The goal for many veterans is to get to a 100 percent disability rating, but this is not always possible through the rating schedule due to an individual’s particular conditions. But, there is another way to be awarded a 100 percent rating: total disability based on individual unemployability (TDIU). Under 38 C.F.R. s. 4.16, a total disability rating may be assigned if a person who fails to meet the schedular rating is, nevertheless, unable to obtain and maintain a substantially gainful occupation. TDIU is not a separate claim for benefits, but is instead part of the rating process. During the VA benefits process, a veteran is assumed to be seeking the highest benefit allowable, so if facts exist in the record that indicate the veteran is unemployable, the VA is obligated to consider and adjudicate TDIU. Note that this does not always happen, so it is in the veteran’s best interest to begin the TDIU process by submitting VA Form 21-8940 or submitting an informal claim for TDIU in a signed and dated letter or Form 21-4138 (Statement in Support of Claim). If the veteran does the latter, the VA will ask the veteran to complete and submit VA Form 21-8940, which is the formal application for total disability based on individual unemployability. The fact that TDIU claims can be raised by the record, but the VA also requires the submission of Form 8940 complicates the process of determining the correct effective date for TDIU, which is discussed below. TDIU is an individualized determination that is made in the context of an individual veteran’s capabilities, whether or not an average person would be able to secure substantially gainful employment under the same conditions. Also note that the availability of work in the national or local economy is irrelevant to the consideration of TDIU, and the VA may also not consider the veteran’s age or any non-service-connected disabilities. When making a determination of TDIU, the VA will consider factors such as the frequency and duration of periods of incapacity or time lost from work due to disability, the veteran’s employment history and current employment status, the veteran’s educational history, and the veteran’s annual income from employment, if any. Standing alone, the fact that a veteran may be young or highly educated, or may have been recently employed with a long work career, is not a sufficient justification for a denial of TDIU. The VA is obligated to consider the totality of the circumstances regarding the veteran’s service-connected disabilities and inability to secure and maintain substantially gainful employment, keeping in mind the benefit of the doubt doctrine. If the veteran is taking medication to treat the service-connected disability, the VA should also make an assessment of the effects or side effects of the medication on the veteran’s employability. In addition, if the VA is put on notice that a veteran is receiving Social Security Administration benefits, it is obligated to obtain any relevant records. The VA should schedule a general medical exam if a veteran expressly asks for a TDIU evaluation or the issue of TDIU is raised in the record. During the exam, the examiner will be asked to provide an opinion as to whether or not it is at least as likely as not that the veteran’s service-connected disability or combined disabilities make him or her unable to secure and maintain substantially gainful employment. The examiner must describe the disabilities’ functional impairment and how that impairment affects both physical and sedentary employment. See Part Three for more C&P exam tips. There is a two-step analysis for determining whether a veteran qualifies for TDIU. First, the veteran’s service-connected disabilities must satisfy certain percentage rating requirements under the rating schedule. Second, the veteran must be unable to secure substantially gainful employment due to his or her service-connected disabilities. 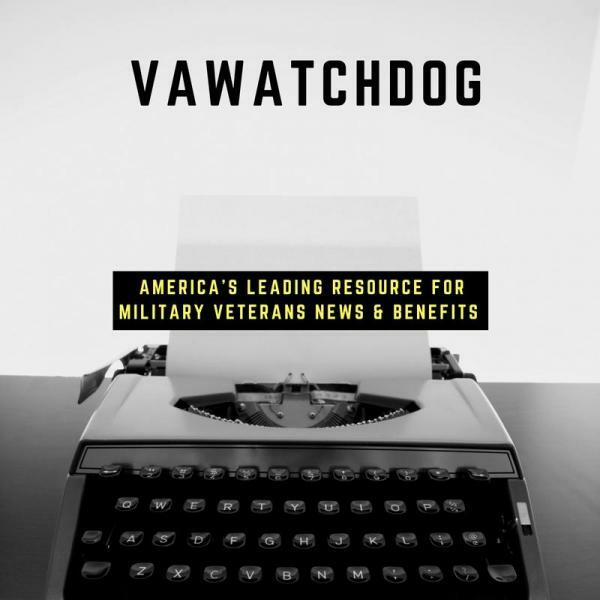 For the first step of the analysis, the veteran must have one service-connected disability that is rated at 60 percent or higher, or a combined disability rating of 70 percent, with one of the service-connected disabilities rated at least 40 percent. Note that for the combined disability calculation, certain disabilities are rated together, for example, disabilities that stem from the same accident or that are all part of the same body system. It is also theoretically possible for a veteran who does not meet either the 60 percent or 70/40 percent requirement to qualify for extraschedular TDIU, although this is a difficult hurdle. For some veterans, they may not meet the percentage requirements, but the nature of their service-connected disability is such that they are not able to secure substantially gainful employment. For example, a veteran may suffer from debilitating migraines, which only have a maximum disability rating of 50 percent, but because the veteran must call in sick to work regularly, he is unable to keep a job. This veteran may want to argue that he should be receiving TDIU on an extraschedular basis. His case will be referred by the regional office to the VA Central Office in Washington, DC, where it will be reviewed by the Director of Compensation and Pension. The referral by the regional office must include a full statement as to the veteran’s service-connected disabilities, employment history, educational and vocational attainment, and other factors bearing on the issue, which will usually take the regional office a long time to gather and send along. The second element of proving TDIU is that the veteran is unable to maintain substantially gainful employment due to his or her service-connected disabilities. Again, note that non-service-connected disabilities are irrelevant in the determination of TDIU. It is important for the veteran to emphasize that it is his or her service-connected disabilities in particular which are causing his or her inability to maintain substantially gainful employment. What is substantially gainful employment? In simplest terms, substantially gainful employment is employment that is not marginal. Marginal employment means that a person’s earned annual income is less than or equal to the poverty threshold for one person as established by the United States Department of Commerce, Bureau of the Census. Sometimes it is possible for a veteran to earn more than the poverty threshold and still qualify for TDIU. For example, if he or she works in a sheltered environment such as a family business or if he or she is provided accommodations or leniencies by his or her employer on account of service-connected disabilities, such as excessive time off or the ability to leave work at will, that may be considered a sheltered work environment. If a veteran is working, whether in a sheltered environment or in less than substantially gainful employment, the VA will evaluate whether the fact that the veteran is employed is proof of the fact that he or she has the ability to find and secure substantially gainful employment. Therefore, it is important to make clear that while the veteran may be currently employed, he or she does not have the ability to perform work with reasonable consistency and for a reasonable time due to his or her service-connected disabilities. The best evidence for a TDIU determination is a professional opinion from a vocational expert or competent medical doctor stating the due to his or her service-connected disabilities, the veteran is unable to secure substantially gainful employment. Perhaps the most complicated issue relating to TDIU is the effective date. Because TDIU is not a separate claim, but part of the rating process, it can be difficult to figure out when the award of TDIU should begin, and this is often something that the VA gets wrong. In simplest terms, to determine the effective date for TDIU you must first figure out the date on which the VA first received evidence from some source which indicates that the veteran was unemployable. This could be a letter from a doctor or a notation in medical records which states that the veteran is unable to work due to his or her service-connected disability. Second, you must determine the status of the veteran’s disabilities at the time the VA received this evidence. There are three main ways to answer the second question. The first possibility is that the VA first received evidence of the veteran’s unemployability when he or she filed a claim for service-connection or when the VA was considering whether to grant service connection. If the VA eventually grants service-connection for the veteran’s disability and awards TDIU, the effective date for the TDIU would be the date the VA received the claim for service connection or the date the veteran first became unemployable due to his or her service-connected disabilities, whichever is later. If the VA first received evidence of the veteran’s unemployability after the VA granted service connection, but before the VA made a final decision on the rating for the disability, the effective date for an award of TDIU would be the date the VA received the claim for service connection or the date the veteran first became unemployable due to his or her service-connected disabilities, whichever is later. And finally, if the VA first received evidence of the veteran’s unemployability when he or she filed a claim for an increased disability rating or while a claim for an increased disability rating is pending, the effective date for an award of TDIU would be the date the VA received the claim for an increase in disability rating or the date the veteran first became unemployable due to his or her service-connected disability ratings, whichever is later. As you can see, this can be a tricky determination to make, so it is always important to analyze the effective date set by the VA to see whether they got it right. If TDIU is denied or the wrong effective date is assigned, the veteran can appeal the decision in the same manner as any other rating decision by filing a Notice of Disagreement (NOD) within one year of the date on the letter that accompanied the TDIU decision. If the veteran fails to file a NOD within one year, the decision becomes final and can only be reopened by submitting new and material evidence or by demonstrating that the decision was the product of clear and unmistakable error. When a veteran is awarded a total disability rating based on TDIU, the VA may not reduce the benefits unless there is clear and convincing evidence that establishes that the veteran is capable of actual employability. This is a high burden for the VA to meet. Even if a veteran’s disability has materially improved, if the VA cannot prove by clear and convincing evidence that he or she is able to engage in substantially gainful employment, TDIU must be preserved. In addition, if a veteran’s disabilities improve and he or she decides to return to work, his or her TDIU benefits will continue for a year until they are terminated. Before the VA reduces a disability rating, including TDIU, it must provide a notice of proposed reduction and give the veteran 60 days to submit evidence to show that his or her condition has not improved. The veteran also has the opportunity to request a hearing. It is also likely that the VA will request that the veteran report for a re-examination. An examination that is the basis for a reduction must be even more thorough than the examination that established the current rating or TDIU (see Part Three). The VA must review all the new evidence, including the re-examination report, in the context of all of the evidence in the record in order to reach a new decision on TDIU.